At long last, they're within reach. After years of taunting consumers with incredible picture quality but insanely high prices, OLED TVs are finally coming down to earth. Prices are falling, there will be even more models to choose from and, at least based on what we've seen from CES this year, LCD TVs aren't getting many upgrades. And of course, LG's stunning new W-series wowed us so much, it won both our Best TV and Best of the Best awards at CES. If you've been holding out on a 4K TV upgrade but haven't had the budget to consider OLED up until now, expect things to change this year. Even before CES began, it was clear the OLED market was beginning to change. Throughout 2016, LG steadily lowered the prices of its lineup -- its cheapest model, the B6, launched at $4,000 but made its way down to $2,000 by October. Come Black Friday, LG also offered another $200 discount. Now, think about that: a 55-inch 4K OLED for $1,800! It was such a compelling deal I ended up buying one myself. Since then, the B6's price has jumped back up to $2,500, but I wouldn't be surprised to see its price come down again. (Pro tip: Keep an eye on deal-aggregator sites.) So why the big discounts? LG reportedly increased the production of its large OLED panels 70 percent last year, likely in anticipation of more demand. That could have led to a slight oversupply, which retailers wanted to clear out before this year's sets. 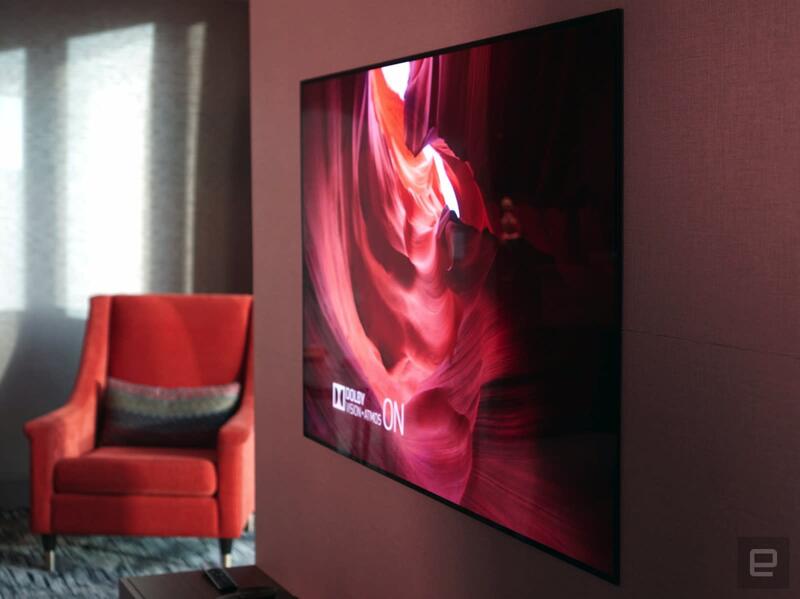 To refresh, OLED TVs offer many advantages over their LCD counterparts. In addition to being much thinner, they offer far better contrast ratios, thanks to OLED's ability to produce pure black levels, and wider viewing angles. OLED sets typically look brighter than LCDs, though newer 4K LCDs have also bumped up their brightness levels considerably (often at the cost of color accuracy). Simply put, OLED looks good. To my eye, its inherent quality advantages matter even more than the bump to 4K. The fact that Sony is also getting into the 4K OLED game could also drive prices down further, especially because they're relying on LG panels. And if LG's sets haven't done anything for you so far, perhaps Sony's features could win you over. In addition to typically great image quality, Sony's OLED also turns its screen into a speaker. It's a nice aesthetic move, though based on what I've heard on the CES show floor, they don't sound much better than typical TV speakers. 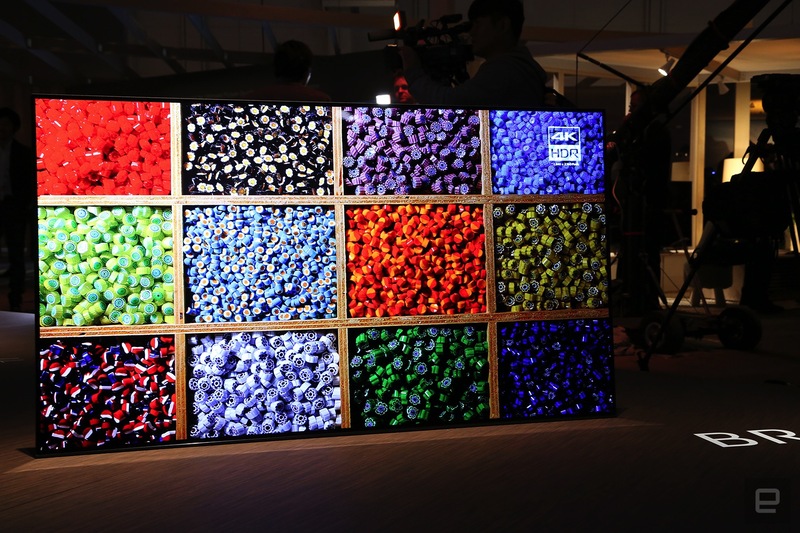 Even as they're getting cheaper, LG's OLED sets still cost more than most 4K LCD alternatives. When it was $2,000, the 55-inch B6 cost about as much as Samsung's higher-end 65-inch 4K sets. And while gadget fanatics know about the inherent advantages of OLED, most consumers will likely choose screen size over quality. Basically, I don't expect everyone to be buying OLEDs this year, but it's never been a better time for discerning shoppers to jump aboard.